The Indian Premier League has more or less become a festival in India since its inception way back in 2008. In the journey of 11 seasons thus far, we have witnessed over a thousand cricketers taking part in it. Some cricketers, who were once at the peak of their careers, couldn't remain at the top forever. There are many cricketers who went from being at the top of their game, to struggling for a place in the side. We have witnessed the decline of players like Shaun Marsh, Kevin Pietersen, Gautam Gambhir, Virender Sehwag, Pragyan Ojha, Irfan Pathan and many more, who once hit peak form during their IPL career. After all, cricket is about 'survival of the consistent'. Here is a list of 6 such cricketers who lost their charm in the past few years of this T20 extravaganza. 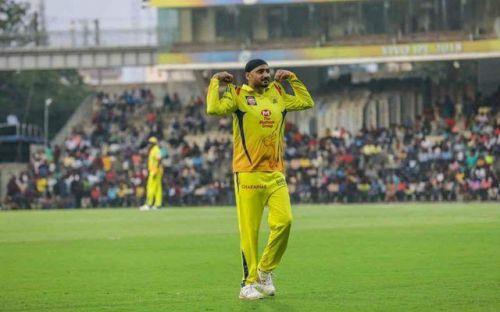 One of the most entertaining cricketers in the Indian cricket history, Harbhajan Singh used to be a part of the Mumbai Indians franchise since the inception of IPL, before joining Chennai Super Kings last year. There have been ups and downs in the 38-year-old's IPL career of 149 matches, where he has picked up 134 wickets. But for the last 3 years, Bhajji's performance curve has taken a dip drastically. The legendary off-spinner has only managed to get 24 scalps from his last 38 games. In addition to that, his economy rose to over eight in these seasons, which used to be under seven on most of the occasions. In the current CSK setup, there are spinners aplenty viz. Ravindra Jadeja, Imran Tahir, Mitchell Santner and Karn Sharma to name a few, besides Bhajji himself. It will be interesting to see how the veteran adapts to the conditions and brings the better out of himself.